We all know that Apple Rocks! However sometimes we forget about the impact that Apple has had on technology in general. They are really a ground breaking company that has really taken cool gadgets to another level. If Apple had not played such a huge role in technological advancement I don’t believe we would have grown at the rate that we have. 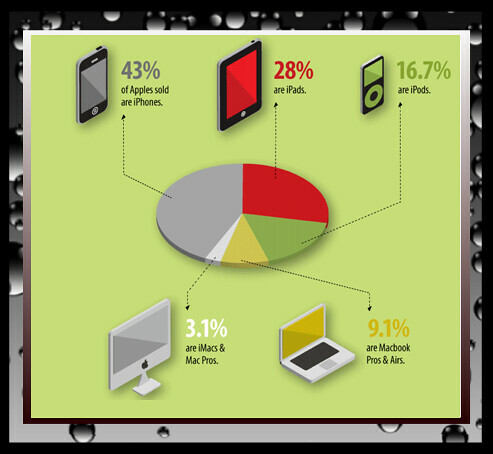 Take a look at the fun but very informative Infographic comparing traditional apples to APPLE the technology power house. Silly comparison, comparison aside this infographic will give you an idea of how awesome Apple is. It makes you look forward to what the future has in store for us all in regard to ground breaking Apple technologies.